Did you know, there is at least one iris from Region 21 on the ballot, ‘Beneath My Wings’ by LeRoy Meininger (2005), which came in at number 78 in the voting last year. In an effort to improve services to our independent members, along with our clubs, we are exploring the possibility of adding half-day pop-up Judges Training and/or programs throughout the year, throughout the Region . This is in addition to our regular Spring and Fall Region 21 Meetings. We would appreciate receiving your views, comments, thoughts, and suggestions. Contact person: Wayne Messer email wrmesser@gmail.com . 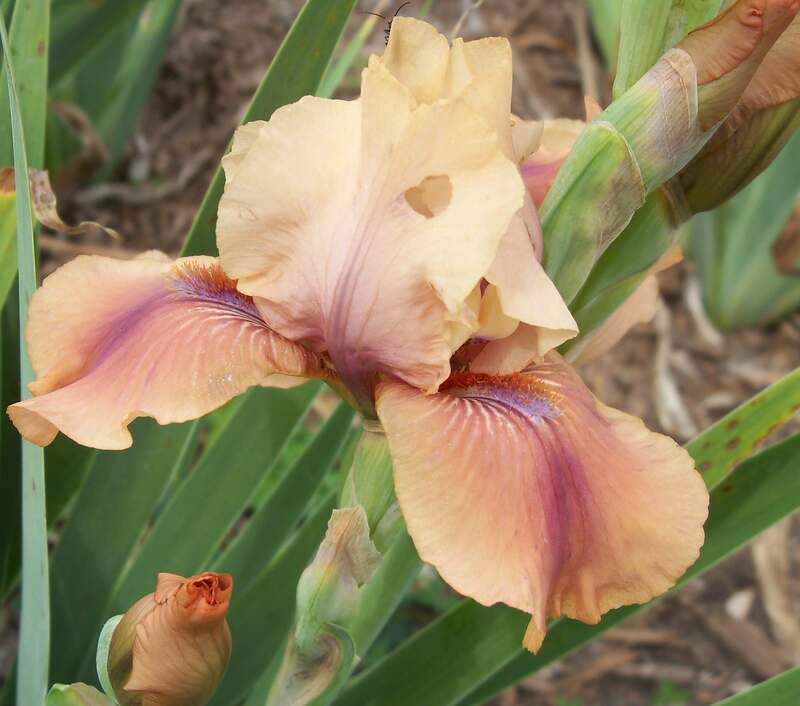 This is a SDB by Allan Ensminger , of Region 21, that I recently noticed in the Iris Encyclopedia. This is the information about ‘Miss Region Twenty-One’. Unfortunately, there is no photo available for this iris. Does anyone have a photo we can add? Also, any other information, such as how the name was chosen, would be useful. Does anyone have this iris in their garden?